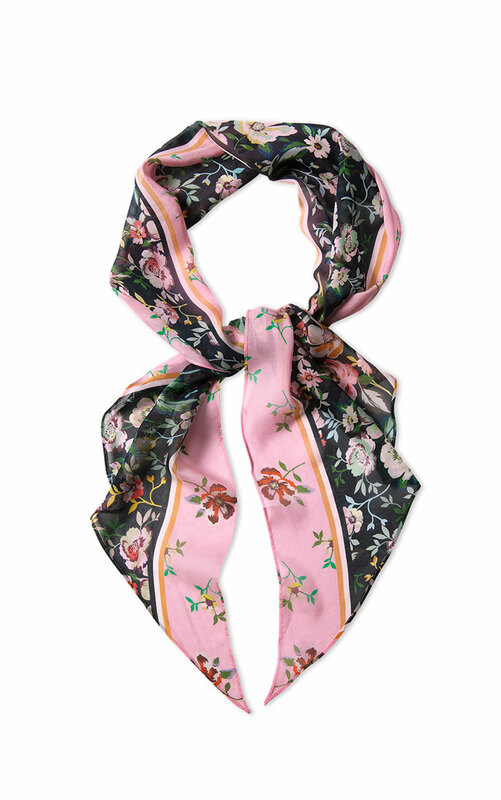 A layered floral and stripe pattern gives this dimensional scarf an impactful, on-trend look. The Flaunt Scarf can be worn as a scarf, head wrap, or belt. Wash by hand separately with cold water. Only non-chlorine bleach if needed. Do not twist or wring. Lay flat to dry. Steam press back to shape. Can be dry cleaned. Loving the Flaunt Scarf? Share how you’re wearing it on Instagram, and browse through all the inspired ensembles for fresh ideas.